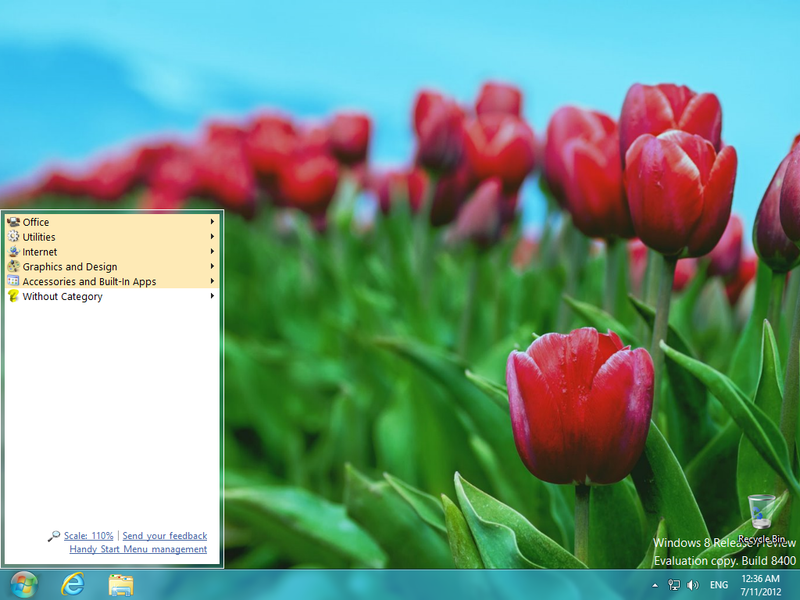 You can bring back the Start menu button in Windows 8 OS with the free utility Handy Start Menu. After installing and launching the program under Windows 8, you will notice the Start menu has appeared on the taskbar in the Desktop application. The button is handy to launch applications in the desktop mode. This is convenient because you don't have to switch to the home screen only for the sake of launching a program and switching back to the desktop. Now all actions are performed from the same place. 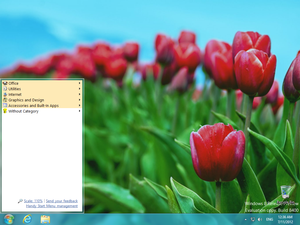 Applications are sorted by groups automatically based on the built-in application type database of Handy Start Menu. The current version of Handy Start Menu implements two functions for now - running desktop applications and automatic sorting. New versions will gradually extend the functionality of the program by including other capabilities of Windows 7's Start menu.